One of the hottest topics in the projector world these days is LED projection. In short, LED projectors use a group of light emitting diodes, or LEDs, in place of the traditional high-pressure lamp assembly. LEDs last much longer than traditional lamps, though as of now they are not typically bright enough to constitute a true replacement for high-pressure lamp technology. The BenQ Joybee GP1 is an LED-based pocket projector designed for entertainment use. At $500, it represents an economical option for several nontraditional uses, such as taking it on vacation, hooking it up to a child's video game system, or even setting up a micro-theater in the car. With several innovative features such as iPod connectivity, the Joybee GP1 is an interesting projector with a low price. Picture Quality.The Joybee GP1 produces a picture that is smooth, sharp, and easy to watch. Color temperature out of the box is too high, so you will want to make some adjustments if you plan to use it for movies or games, but color saturation is acceptable. Contrast is fairly low, but for casual use like children's cartoons or basic video games, it will suffice. You would not want to use it with a game requiring higher contrast, like Splinter Cell or Halo, however. Image sharpness is solid at native resolution, and still respectable at higher resolutions. Highly portable. The GP1 weighs only 1.5 pounds, and is about the size of a small stack of CDs. This makes it easy to pack up and take along wherever you go. Even with the power brick and a video cable, the GP1 does not exceed 3 pounds total weight. Nearly Silent. One common problem with many portable projectors is fan noise. Since the casework is so small, the noise of the exhaust fan is not muffled by anything, so small projectors tend to sound louder than larger models of comparable specifications. The GP1, though, is nearly silent at 28 dB. We often had trouble differentiating the noise of the projector from the noise of the ceiling fan, air conditioning system, or computer's fan. It is quieter than a myriad of other common room noises, and will not cause any distraction to your audience. Tripod mountable. Since the Joybee GP1 has a fixed zoom and no lens shift, adjusting image size and location can be difficult. The easiest way to quickly and easily adjust the image is to mount the projector on a tripod, using the standard screw-in attachment point on the unit's base. This allows you to easily adjust height and projection angle, as well as being able to easily move the projector closer to or farther from the viewing surface. While a tripod is not included, inexpensive models are excellent for this application and are available at most retails stores that sell consumer-grade cameras. iPod and USB connectivity. 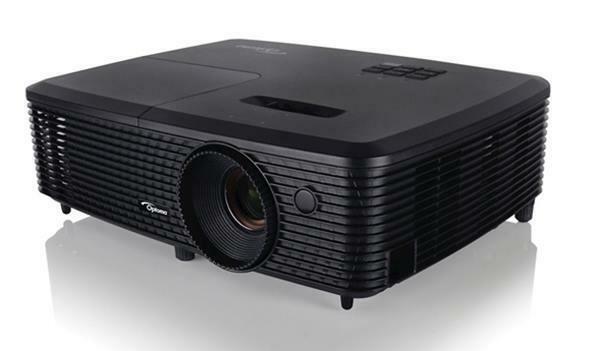 With such a small projector, you may want to watch a movie without attaching a DVD player or computer. The Joybee GP1 offers two options for this - iPod and USB playback. With iPod playback, the GP1 will play movie files stored on your iPod through a dock connection. Or, using a USB flash drive, you can play back certain types of movie files directly from storage media. The GP1 can only handle certain types of movie files, so you'll need to convert any media you have in order to use it, but GP1 does include a conversion utility if you do not already have one. 2W speaker. The projector does include a speaker. It sounds somewhat tinny, but one cannot expect reference-quality audio from a projector this small. Suffice it to say that the speaker will do if you are not using your own external speaker system or a set of headphones. And, speaking of headphones, the projector has a 1/8" audio out port, so you can use headphones even while watching media from a USB drive. OK, so what image can you reasonably obtain with 98 lumens? Pico projectors, especially cheap could open up a market of toys cary-on screens. Travelers, DJs, etc. That sounds like it has a 3W, 5W or 7W Luxeon LED inside or something like that. I think those achieve 150 lumens of white light. 1 watt gets 45 lumens if I recall. My old Shapvision P10 which I paid $2000 for in 1993 had a lumen rating of little more than a 100 lumens and although it offered only 450 lines of resolution, in a well darkened room, it made for a pretty decent movie experience using a 96" 4x3 glass beaded Draper screen. Compared to the 60" box options in the $2500 and up range of the mid nineties, I chose this projector for my home theater. Most people were amased at just how good a 8 foot TV could look. I am looking forward to seeing the new BenQ. Robert: "So how does the Benq compare with the LG hs102g that was so highly rated on this site?" Aside from the better brightness (the LG is rated at 160 lumens), I feel the LG looks more professional and would not look incongruous in a professional presentation, while the BenQ looks more suited for entertainment. Thats my $0.02. The BENQ doesn't recognize videos created on a Mac, even when they're in the exact formats specified in the manual. Unfortunately BENQ doesn't state this on the box, or in the manual. For video via a USB key, this projector is Windows only. 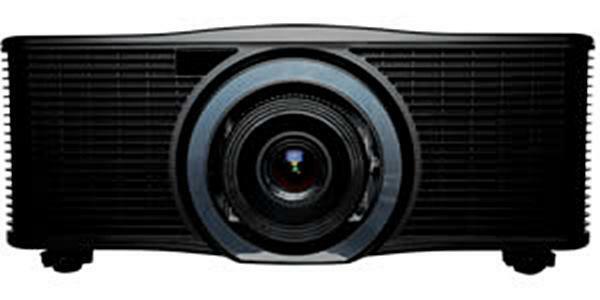 Are LED projectors usefull for classroom presentation & what will be maximum duration . after 80 hours usage i see a lot of white and black dots.. why?